LOS ANGLES – For the second time in as many weeks the hot shooting Hawks toppled the mighty Clippers. The Hawks balanced attack was too much for the Clippers to handle as Atlanta had five players in double figures and defeated Los Angeles 107– 98 on Monday night at Staples Center. The Hawks used an 18-6 run to open the 4th quarter and opened up a 17-point lead on Los Angeles before resting their starters down the stretch. The Hawks have now won seven consecutive games on the road for the first time in 21 years and 19 of 21 overall. Paul Millsap led the way for the Hawks with 23 points and 8 rebounds, Jeff Teague had 20 points and DeMarre Carroll finished with 17 points, 8 rebounds, 4 assists and 3 three-pointers. Al Horford contributed 16 points for the Hawks who now take over sole possession of the Eastern conference with a 1.5 game lead over the Chicago Bulls. The Clippers jumped out to an early 15-2 lead before Atlanta had to call a timeout to settle the team down. They got right back in the game thanks to their defense and didn’t let up throughout the contest. Blake Griffin led the Clippers with 26 points, 10 rebounds and six assists. Chris Paul had a rough game scoring, going 3-8 for 10 points and 10 assists before fouling out with less than two minutes to play in the game. Paul was in foul trouble for most of the game, which put a lot of onus on Griffin. The superstar power forward struggled while Paul was on the bench as he committed five crucial turnovers. 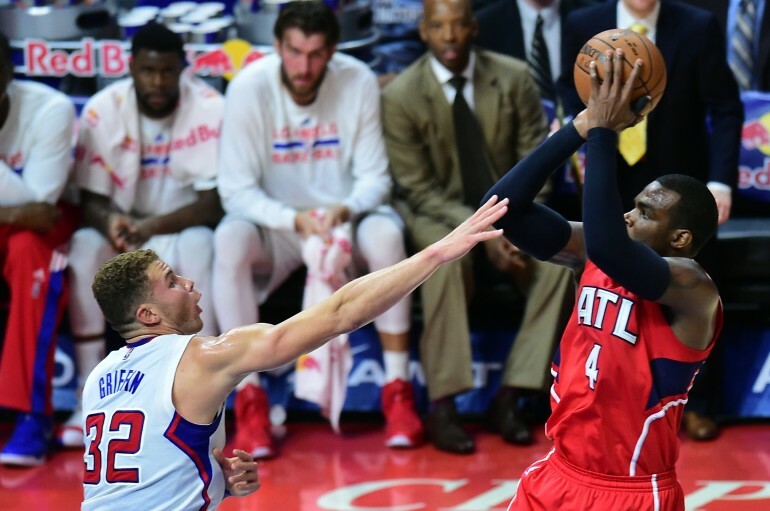 The Clippers team as a whole struggled with turnovers throughout the game as their 21 turnovers led to 23 transition points by the Hawks. The Clippers also were well balanced as they had six players in double figures. However, they have consistently struggled against the elite teams in the East, and are now 0-5 against the top four teams in the Eastern conference. The loss snaps the Clippers three game-winning streak. The Clippers held two practices over the last three days, more than they have had in nearly two months. Jordan played well in the loss finishing with 15 points, 16 rebounds and three blocks, but was visibly upset after the game. Dennis Rodman sat behind the Clippers bench for the game and was seen talking with players. The Clippers now square off with their locker room rivals, the Los Angeles Lakers on Wednesday.